There were two places that I needed to come back and visit on my trip back to Tarpon Springs, Rusty Bellies (check my previous post) and Hellas. 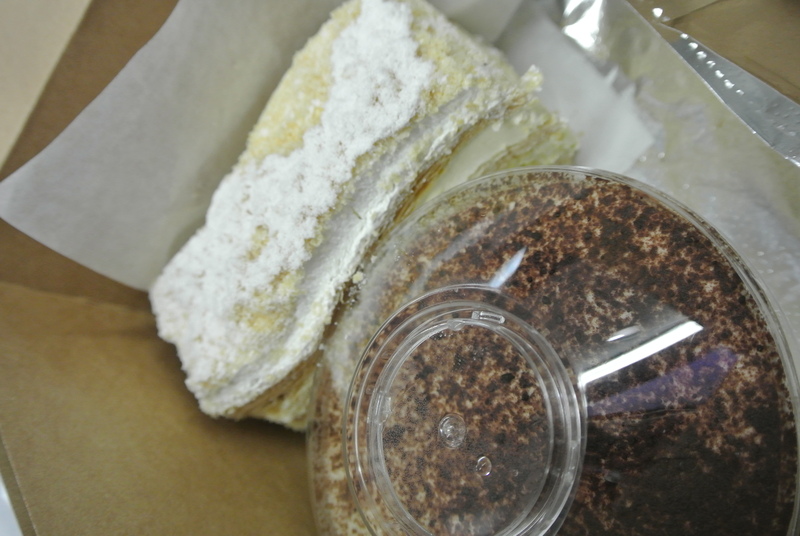 I love greek desserts, everything from baklava to their cookies…they are all delicious. Even with my trips to Little Greece in Toronto (on the Danforth) I’ve never come across chocolate covered baklava and two years ago, I tried it for the first time. 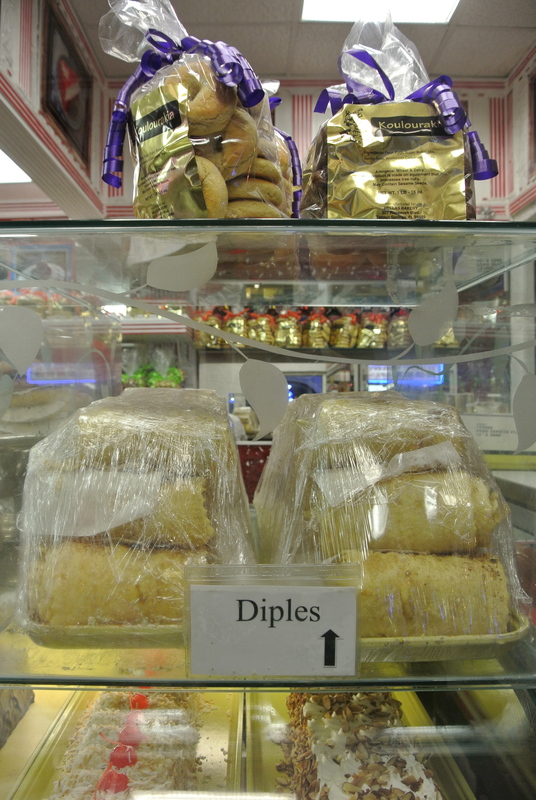 So I was craving for some baklava and my favourite, diples. 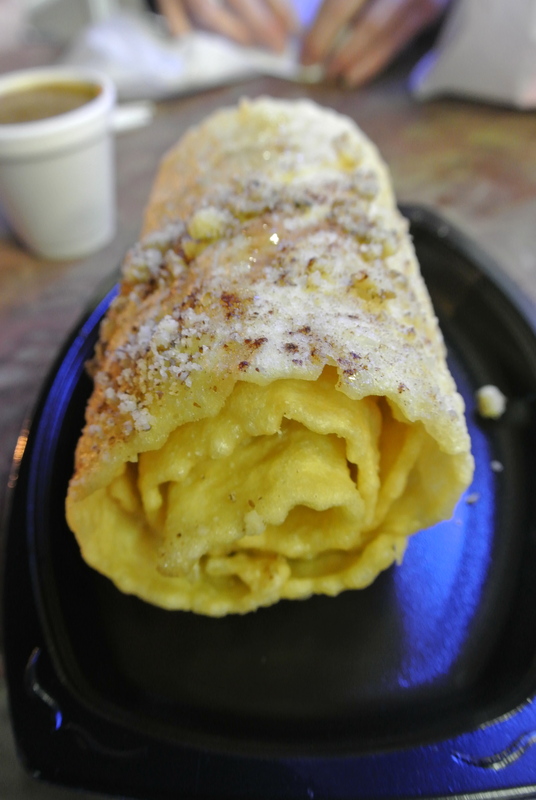 These are rolled, deep fried dough that is then dipped in a honey syrup and topped with chopped nuts and cinnamon. 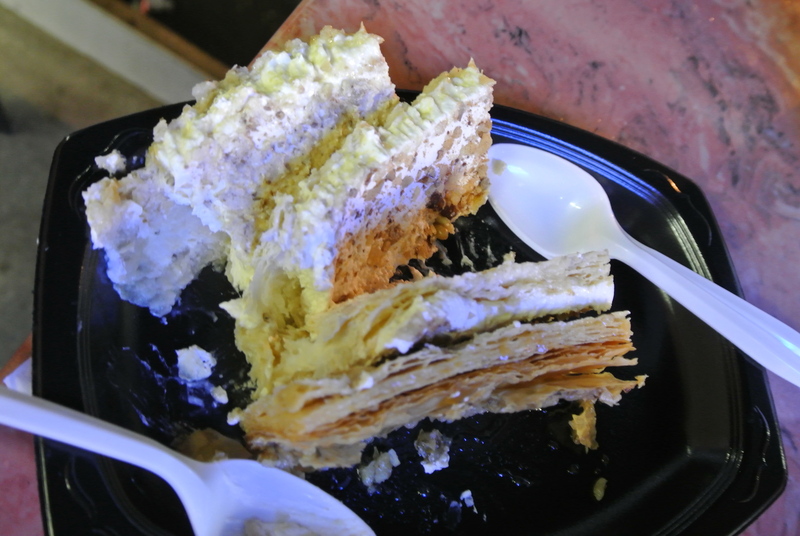 I discovered diples at Hellas and fell in love with this airy, sweet dessert. 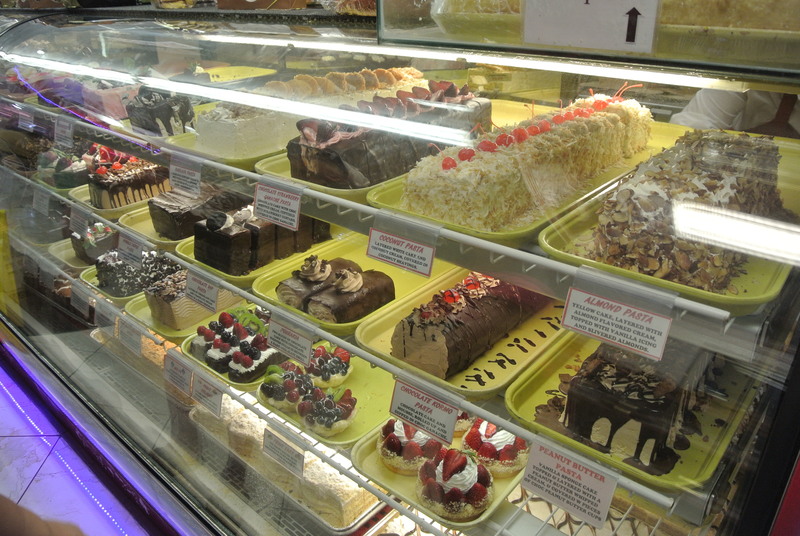 Its a perfect place to stop by for dessert and a coffee…heck, do what I did – dinner at Rusty Bellies and dessert at Hellas, you can’t go wrong! 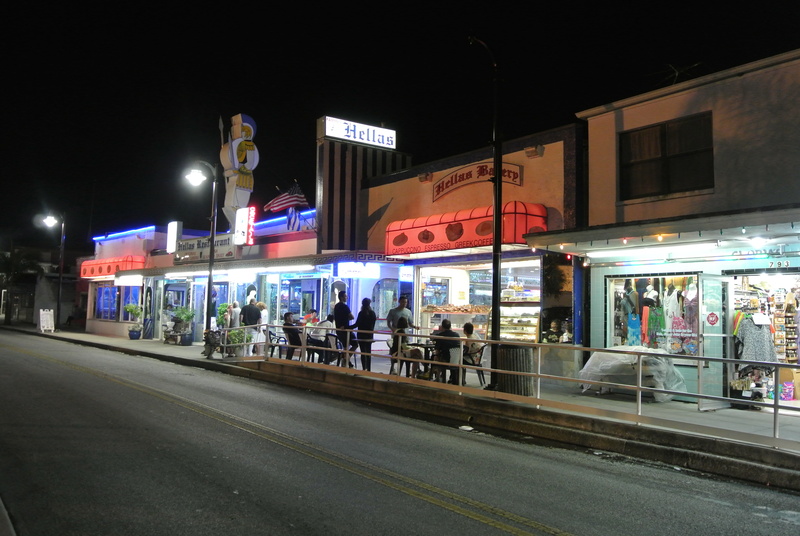 Hellas located on the main strip of the Sponge Docks. 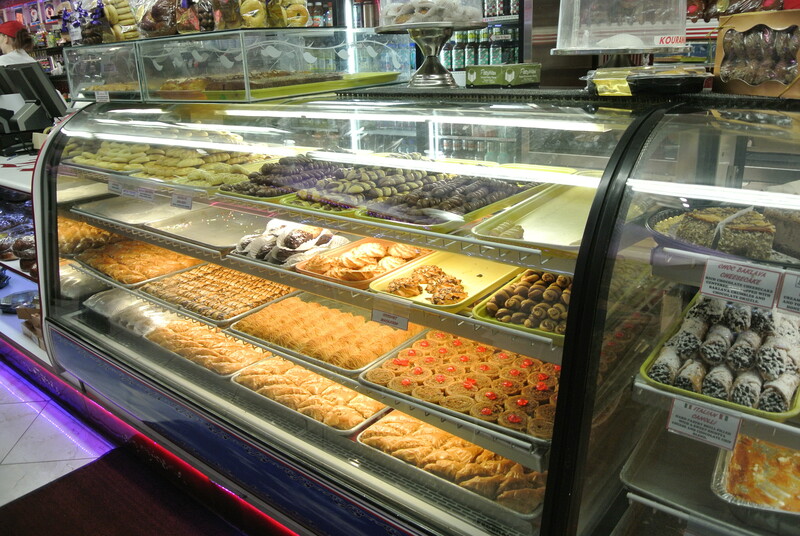 So much baklava to choose from. 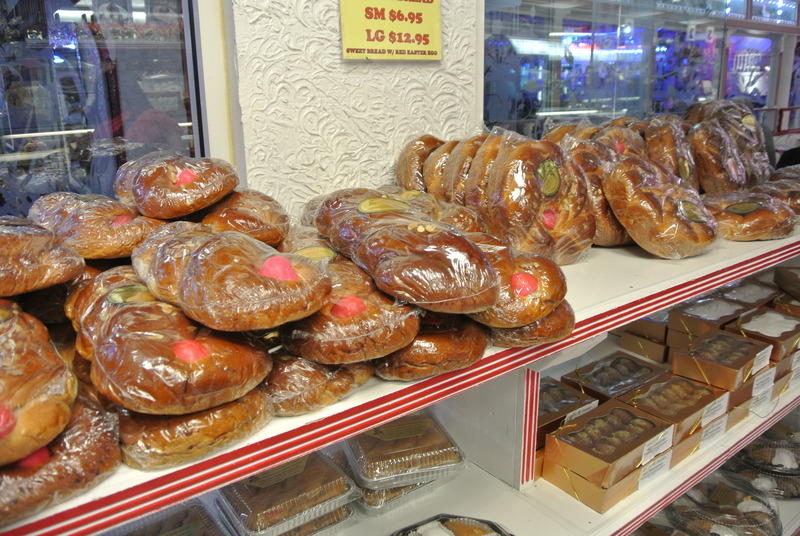 Homemade egg bread made especially for Easter. 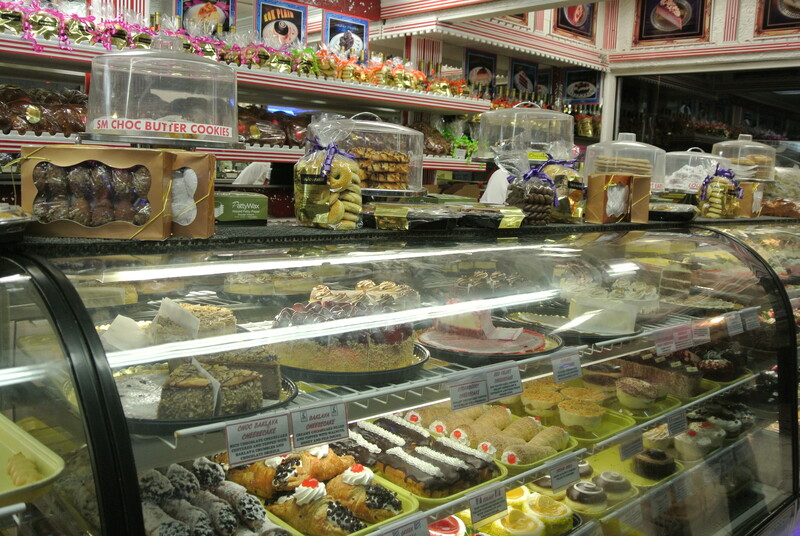 In addition to traditional greek desserts there are a number of cakes and pastries available as well. 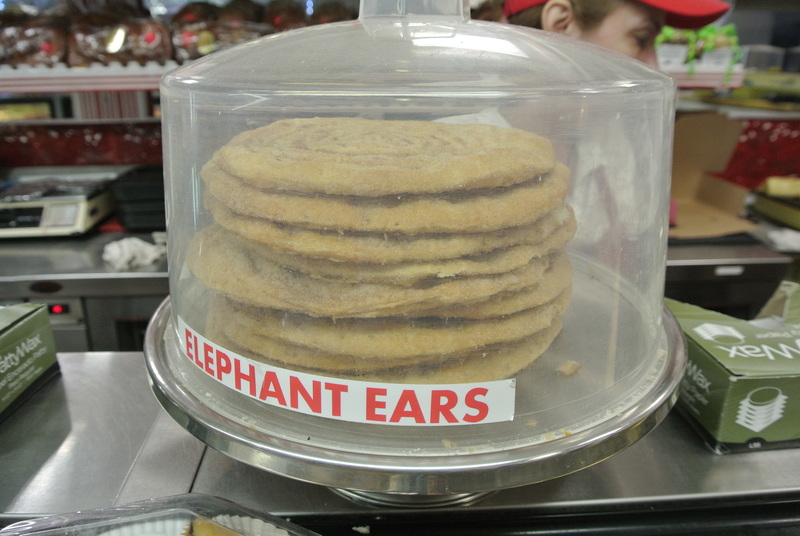 I love the name of these pastries, elephant ears! 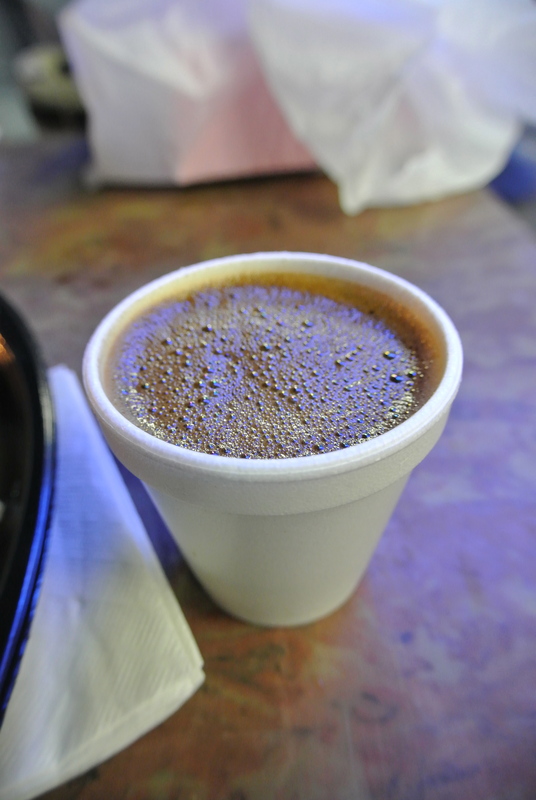 A delicious cup of greek coffee. 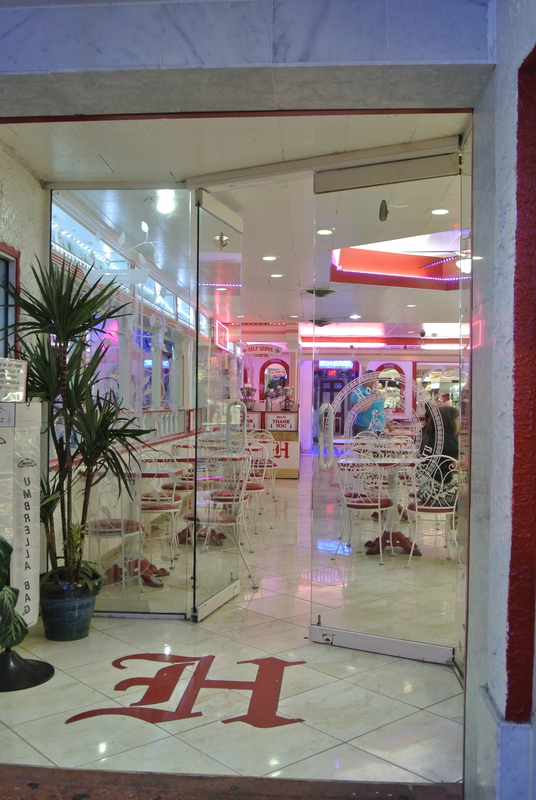 The retail bakery side of Hellas.